If you are visiting North Shropshire to stay with friends or to enjoy the fantastic countryside around Oswestry, then there is a good chance that at some point you will pass the village of Pant. We would like you to stop a while and explore the village, so we have drawn up a list of ten things to do in Pant. Pant and the surrounding area boasts glorious countryside and fantastic rural views, but this belies the area’s rich industrial past. 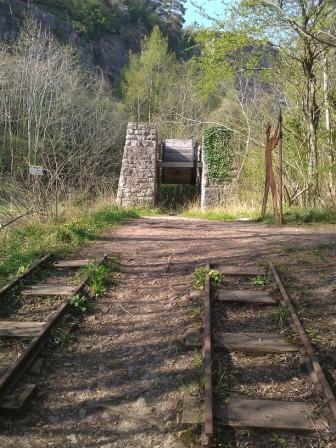 Pant was a thriving railway, canal and quarrying hub in the past and this industrial heritage is still there for visitors (and locals) to hunt out. Our top ten ideas of what to see and do in Pant will provide you with a great overview of both the countryside and the industrial past. 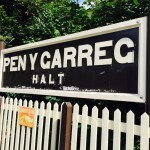 The Cambrian Heritage Railway runs services from Penygarreg Halt to Llynclys. 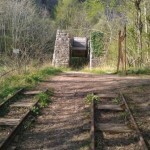 The short journey is part of a project to restore sections of the line that was closed in the 1960s. 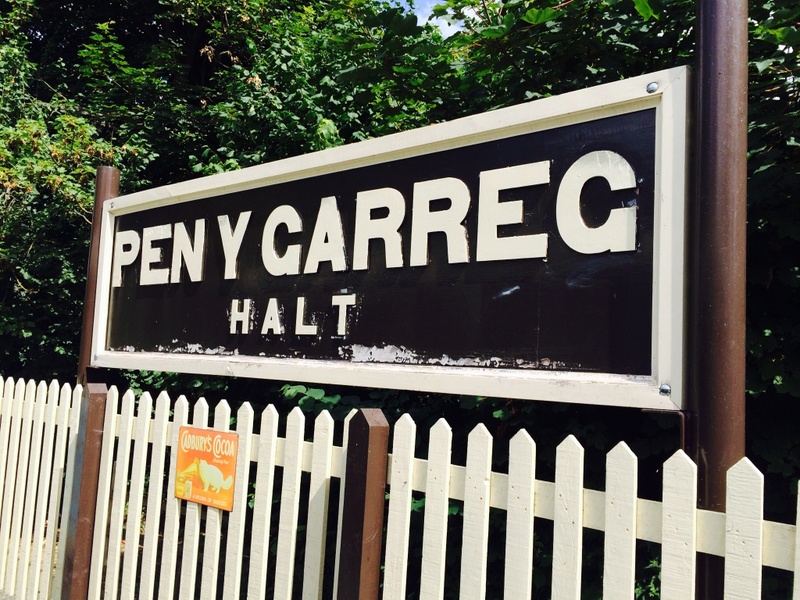 At Llynclys, enjoy a cup of tea in the buffet car or take a short stroll to the White Lion for a snack and a drink. Wheelchair accessibility:Wheelchairs can be carried on the train (in the guard’s van) but please check first. 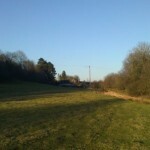 This 33 mile long canal is partly restored after it fell out of use in the 1940s but through the village of Pant it is still to be returned to its former glory. 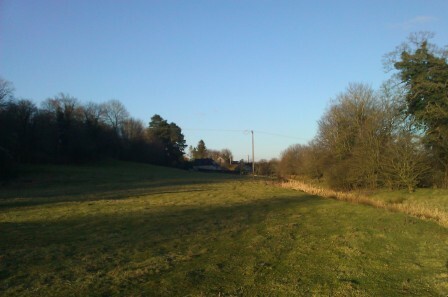 However, it is worth walking along the towpath from Penygarreg Lane past Station Road to enjoy the views of the village and local countryside. Wheelchair accessibility:This path is not currently wheelchair accessible, but go down Station Road to see bridge number 88 for a good view over the canal. The lime kilns on Rhew Level Lane illustrate how places we perceive today as being quiet and rural were once at the heart of heavy industry. 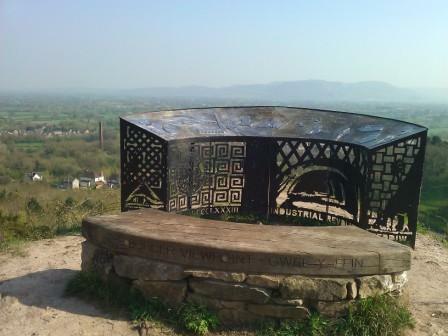 The kilns are at the base of what would have been an ‘incline’ from the quarries on Llanymynech Hill. 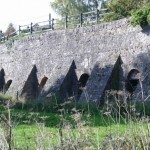 Some of the stone from the quarries was burnt in the kilns before being transported from Pant Wharf via the Montgomery Canal for use as fertiliser. Wheelchair accessibility: Rhew Level Lane is steep towards the bottom but is all one level for wheelchairs. 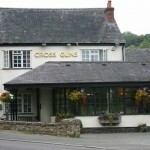 The historic Cross Guns Inn in Pant is the village’s only pub and serves food all day. There are special offers on food each day, so check them out. The pub has recently been recognised by Shropshire Council as an asset of community value, helping protect it for the future. Pop in for a drink and a chat with the ‘Pant natives’ and visitors to the area. Wheelchair accessibility: The pub is accessible to wheelchairs although there is no disabled toilet. 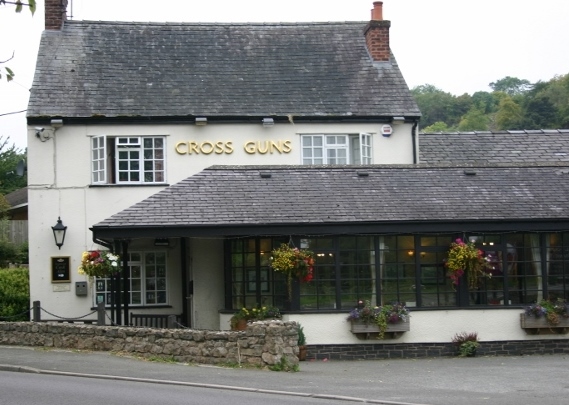 Once you have been into the Cross Guns Inn, it is only a short walk (across the A483, so do cross carefully!) 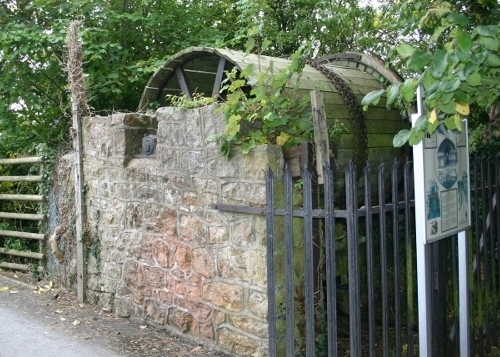 to the village’s Gin Wheel. 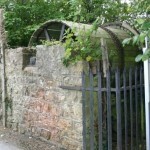 Sorry to say that you cannot carry on your drinking here as the Gin Wheel in Gyn Lane refers to the wheel used in a pulley system around which ropes and chains were wound to pull trucks that were used in the quarry industry. Wheelchair accessibility: Gyn Lane is on the level. Llanymynech Golf Club straddles the border between England and Wales and is said to be Europe’s only dual country golf course. It commands a spectacular location on top of Llanymynech Hill and due to its position golfers can drive in Wales and then putt in England! Llanymynech Golf Club is where golfer Ian Woosnam first learned to play golf at the age of nine. Wheelchair accessibility: Please contact the Golf Club regarding disability access. 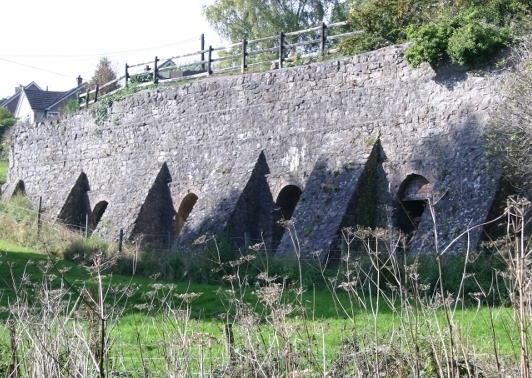 When Pant and Llanymynech were involved in the limestone quarrying, tramways were used to transport the broken rocks down the hill before being turned into quicklime in kilns below or loaded onto canal barges. 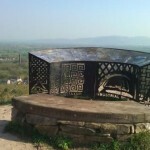 Walk up the English Incline from the Hoffmann Kiln in Llanymynech to its summit. Walk to the left and you will head towards the gate mentioned below, right will take you to some spectacular rock faces enjoyed by climbers. Wheelchair accessibility: This path is not accessible to most wheelchairs*. Luckily in Pant you don’t have to split yourself in half to be in Wales and England at the same time! 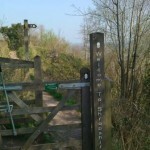 At the top of the Welsh Incline you will find a gate on the Offa’s Dyke footpath which marks the border between England and Wales. An ideal location for a photograph to mark your visit to Offa’s Dyke, and if you are a keen walker, maybe this will whet your appetite to tackle all 177 miles of this public footpath. A short walk westwards from the English Incline will take you past the gate mentioned above. You will see the Welsh Incline to your left. Descend here and you will arrive back at the Llanymynech Heritage Centre and A483. But before you do, it is well worth carrying on for a few more metres and admire the view from approx. Grid Reference SJ264215. 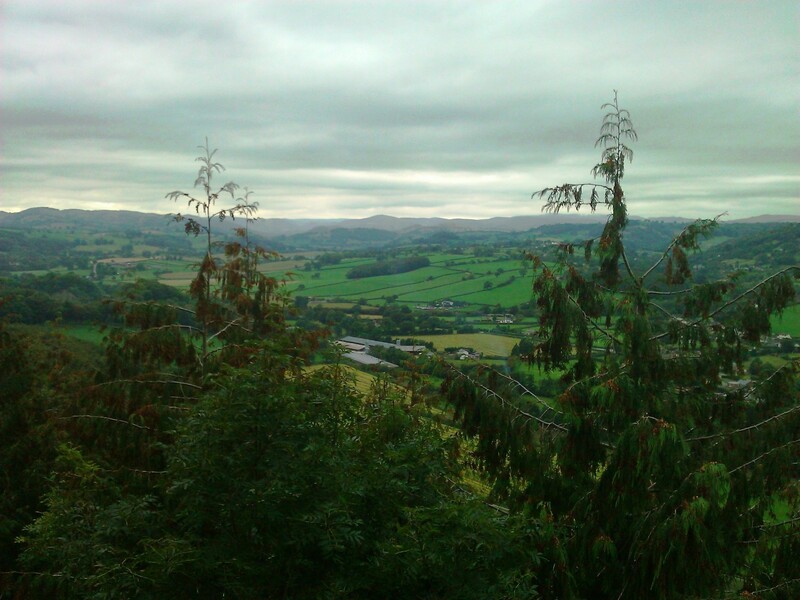 If you are feeling energetic and fancy a walk with a great view, head for Jacob’s Ladder on the Offa’s Dyke footpath above Llynclys Common. You can find it at roughly SJ270236 (disclaimer: remember there are steep edges to Llanymynech Hill, so please check grid references for yourselves!!) 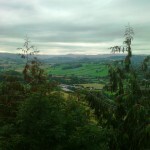 You will find a stunning view across the countryside into Mid Wales. 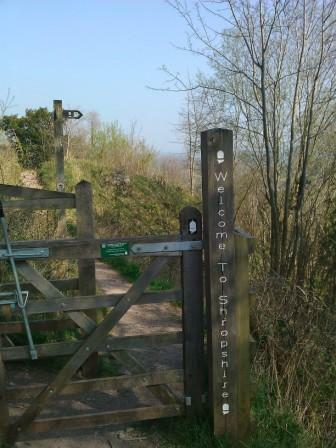 *As a rocky outcrop, Llanymynech Hill has numerous public footpaths that are very steep and therefore not accessible to those using wheelchairs. However, a more gentle climb is possible by parking in the car park at the end of Underhill Lane and going up the path to the foot of the rocks.